Declan has been Managing Director of the ECS Group since 2016. In his role he oversees all five companies that make up the ECS Group and ECS Automotive. 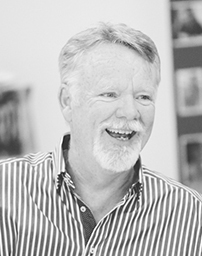 Declan is a hugely experienced leader having held numerous senior managerial positions throughout the automotive industry. Skilled in Business Development and Aftersales, Declan has used his talents to excel in his native Ireland, working with Fiat, Nissan, Opel and Volvo; in the United Kingdom with Honda, Lotus and Mazda; and the United States of America where he spent 15 years working with BMW. Declan joined ECS Automotive in 2002 after returning from the USA and was quickly promoted to Regional Manager for the UK and Ireland. He later became the Business Development Manager for Europe where he experienced great success. In 2016, Declan was appointed Managing Director of the ECS Group upon the retirement of its founder and then Managing Director, Mr. Allan Monteath. Since his appointment the organisation has experienced significant growth in revenue, customers, and employees. He is driven to secure ECS Automotive as being the premium supplier of out-sourced services to automotive manufacturers and distributors and the ECS Group as a premium provider of innovative business solutions. Tom is an experienced Business Analyst with a demonstrated history of working in the management consulting industry. Skilled in PHP, SQL, Project Management, Data Analysis, and Web Design, Tom joined ECS Automotive from the technical retail industry as a Junior (Technical) Analyst. He grew within the company holding positions as a Systems Analyst and as a Developer before moving into the Business Development leg of the organisation where he focused on project management, new business, and programme start-ups. He now serves as the global Business Analyst for the ECS Group, operating independently of the internal departments with the Managing Director. In this position Tom focuses on understanding the business needs and assessing the impact of change, as well as analysing the organisation’s efficiency, business model, workflows, and technical systems. Making recommendations to development projects that will improve business efficiency. 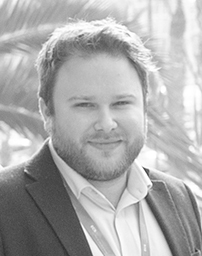 Tom is a strong research professional with a first-class honours degree in Business Information Systems from Anglia Ruskin University and a Foundation focused in Business Analysis from the BCS, The Chartered Institute for IT. 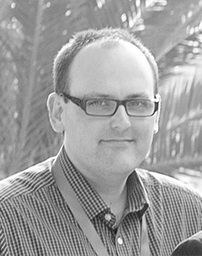 Alistair is an experienced manager with a passion for providing customer focused solutions. Iván is a skilled Business Development Manager with demonstrated experience in sales and entering new markets. 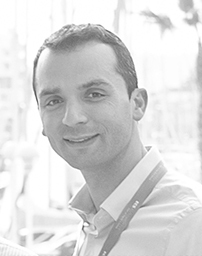 Educated in engineering, Iván joined the company from an automotive distributor in Spain as a Warranty Auditor. He was promoted to Country Manager for Spain before coordinating operations for the southern European markets. In 2017, Iván was appointed as Business Development Manager for Europe as a part of the Group’s restructuring. With more than 15 years’ experience in the automotive industry Iván is well placed to aid the growth of the organisation, identify customer needs, and establish long-term relationship with them. Iván is a robust, multi-lingual business professional with an MBA in Business Administration and qualifications in Marketing and Engineering. He is fluent in his native language of Spanish, English, and Italian. 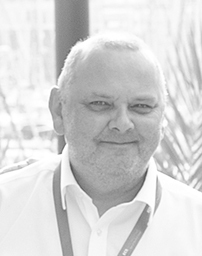 Alistair is an experienced manager with a passion for providing customer focused solutions. Skilled in identifying problem areas and developing robust solutions, Alistair joined the ECS Group from the retail sector in 2011. Having spent ten years in the sector, Alistair refined his skills in operational logistics and performance management. He was on the front line during an industry shift from manual-driven distribution and warehouse management into autonomous technology-driven solutions and gained much knowledge during this time that would help drive and motivate him in the future. Joining as a Project Coordinator he progressed quickly through the organisation becoming the ECS Group’s Quality Manager before being appointed as the Development and Support Manager for ECS Automotive in 2017. Keith is a highly experienced automotive professional with a lifetime of experience working in dealerships and in major European Automotive Manufacturers with the likes of Ford, Nissan and Vauxhall. Skilled in complex technical diagnosis, technical data analysis, operational liaising, and industry information and communication systems, Keith joined the company in 2004. He began his time at ECS Automotive with a six-month project on behalf of a manufacturer who had a need to assess the state of their Network in order to move it to the next level of their UK and European development. This was followed by Keith being embedded within another manufacturer to assist in the roll-out of a new claim submission and payment system. Keith then embarked on a seven-year project acting as the Main Analyst and Operational Liaison between Nissan and the RAC in order to improve processes and to gather and collate valuable, and previously inaccessible, information regarding reliability and commonly encountered issues (both real and perceived) with the overall aim of improving end-user customer satisfaction. In 2016, Keith became further integrated into the Operations Department, taking responsibility for the delivery of programmes and activities, and in 2018 he was promoted to the position of Operations Manager. Christine is the longest-serving member of the ECS Group management team. She is a highly experienced Finance and Administration Manager with a demonstrated history working within the automotive industry since 1983. Starting out her career as a payroll assistant Christine spent 12 years working for Volvo working her way up to Finance and Administration manager before leaving in 1995 to take a career break where she spent time abroad. 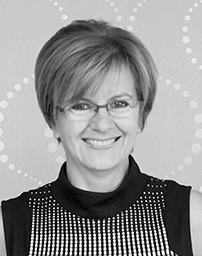 In 1996, she was headhunted to join ECS Automotive and began as the company’s administrator. Over the following 20+ years she has developed and built the Finance and Administration teams that now serve the entire ECS Group today. Managing the complex financials of all the ECS Group companies. We play an integral role in the organisation and support a rapidly changing and fast-growing business. Supporting the organisation and all of it’s companies from the Group’s Head Office in the UK; we support management, our teams, and clients to ensure a consistent level of premium service. Empowering our colleagues and clients with bespoke built applications and web services. Our engineers develop and deliver the innovative technology that helps us progress as a business. Specialising in automotive platform operations; we are the team of analysts working out of the ECS Automotive office in Germany. We provide market services at a continental-level. Working face to face with our clients, their regional business units, national sales companies, and dealers on a day to day basis we are the people on the ground in markets all over the globe.